Acme Seals Group. Acme Crimp PCS plastic security seal. The Acme Crimp Seal is manufactured in high grade polypropylene material and is suitable for applications where the traditional lead seal cannot be used. 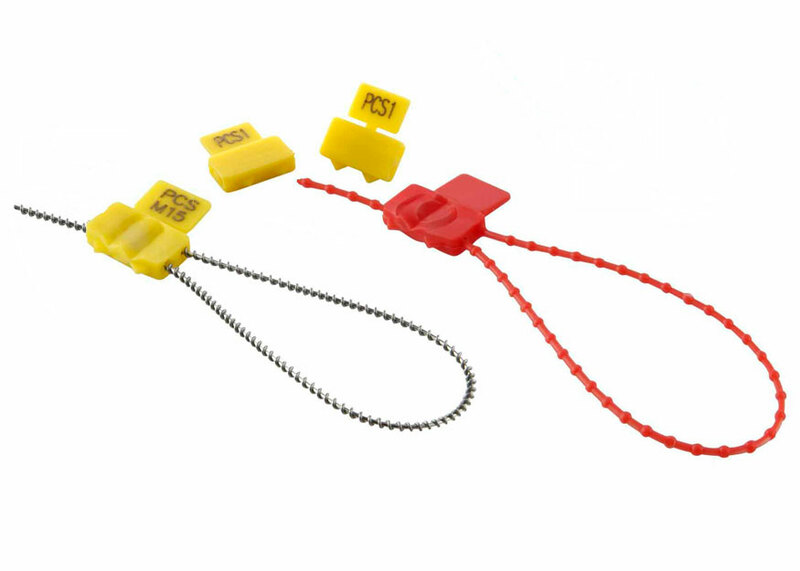 Usually supplied as a separate part ready for use with lashed sealing wire it is also manufactured with a 15cm ribbon if strength is not the main priority. Both versions may be supplied with laser marked consecutive numbering or plain if preferred. Effective closure is achieved with the Acme sealing tool YPL 9062 fitted with corrugated dies.